Camp Pendleton is attacking its disposable waste by concentrating on polystyrene packaging, or Styrofoam, and recycling it. Most people think that Styrofoam is not recyclable, but the truth is the material is a petroleum-based product and it is highly recyclable, just like plastics, according to Charles Bradshaw, the recycling program manager for Camp Pendleton. It is estimated that by volume, it takes as much as 30 percent of landfills worldwide, according to www.all-recycling-facts.com. Aside from the large amount of space this material takes in landfills, it is important to dispose of it carefully do to its effect on animals and the environment. When ingested by animals, it often blocks their digestive tracts, causes starvation, and ultimately death. 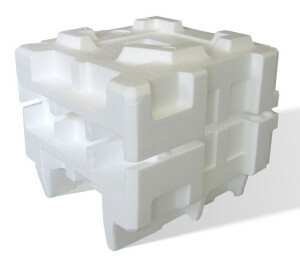 The material is not biodegradable and in the absence of a suitable solvent, Styrofoam can last almost forever. “We all can reduce our personal use of Styrofoam but the fact is most Styrofoam is acquired through products we purchase, like computers, televisions and other appliances,” Bradshaw said. Many places do not recycle this material because it is so lightweight and requires a large volume to make transportable loads that are economical. Camp Pendleton is required by the state of California to reduce its disposable waste 50 percent by 2015 and 75 percent by 2020. “We may not be diverting a waste stream that is heavy, but we are recycling something that we all see frequently every day,” said Bradshaw.